Michelle Imata serves as the Managing Partner of the firm and is a member of the Transactional practice group. She concentrates her practice on financial institutions, representing credit unions, commercial banks and financial services loan companies. Her practice areas include financial institution regulatory matters including governmental enforcement actions, e-commerce and the electronic funds transfer act, ACH network contracts and issues, financial institution privacy, commercial credit and secured transactions, and real property acquisition and development. 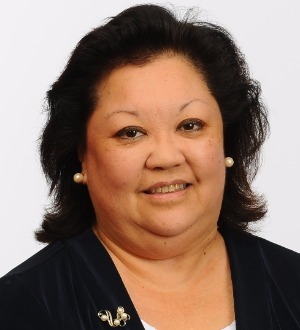 Ms. Imata served as corporate counsel to a Hawai`i savings association and continues to advise financial institutions in all aspects of regulatory and compliance matters. She was recently selected by attorney peers for inclusion in The Best Lawyers 2018 in the field of Banking and Finance Law and Financial Services Regulation Law. Selected by attorney peers for inclusion in The Best Lawyers 2018 for Banking and Finance Law and Financial Services Regulation Law; listed in the publication since 2013. University of California - Davis, J.D.